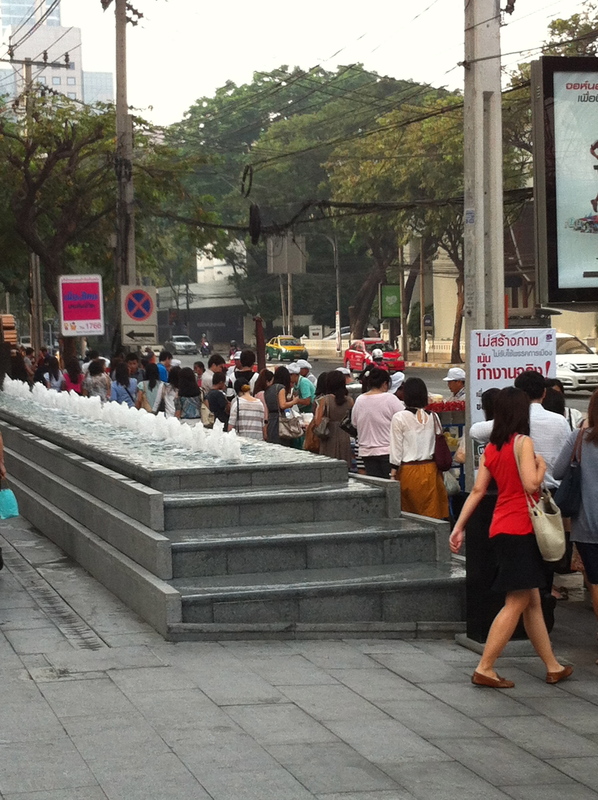 If there is a sidewalk, there will be street food, that is one of the first rules of Bangkok. If there is an office tower and a sidewalk that leads to the office tower, there will be an abundance of good street food. The first picture is of the lineup of street food vendors at the BTS Skytrain exit at Phloen Chit, this is what greets me each workday. The second picture is the next lineup of street vendors, just around the corner from the from the BTS exit and first lineup of vendors. This is my morning walk to the office. Do you think I go grocery shopping, prepare my own at home? Not a chance. This half a city block has everything from rice porridge to fresh fruit for the mornings as well as fried pork, barbecued chicken, som-tum, salad and loads of sweets. Oh, there is also coffee and fresh juices. No, I don’t visit the grocery store and buy a whole papaya, for thb15 I get a single serving fresh on my way to work each day. As you can see, there are many people walking up and buying food, most people grab a few different things before they head into their office. Walk through dining. At it’s best. 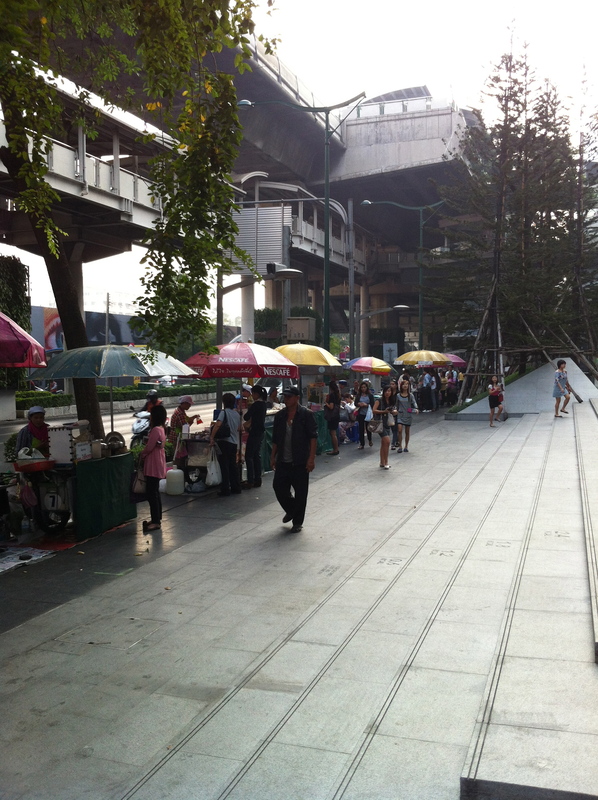 This entry was posted in Bangkok, Food & Restaurants, photographs and tagged Bangkok sidewalk, BTS, street food. Bookmark the permalink.